 Mouse anti Human CD85j antibody, clone 4F9 recognizes CD85j, a member of the leukocyte immunoglobulin-like receptor (LIR) family. CD85j is a receptor for MHC Class I molecules and ligand binding results in inhibitory signals and down-regulation of the immune response. CD85j is expressed predominantly on B-cells and monocytes, and at lower levels on dendritic cells, T-cells and natural killer (NK) cells. Colonna, M. et al. (1999) A novel family of Ig-like receptors for HLA class I molecules that modulate function of lymphoid and myeloid cells. J Leukoc Biol. 66 (3): 375-81. Borges, L. et al. (1997) A family of human lymphoid and myeloid Ig-like receptors, some of which bind to MHC class I molecules. J Immunol. 159 (11): 5192-6.